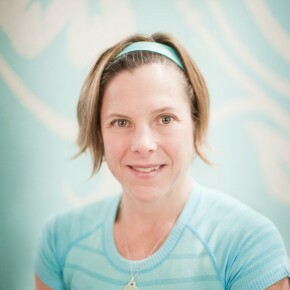 Miranda McGovern, owner and operator of Studio M Pilates, has been a Personal Fitness Trainer for over 13 years. She started her journey after her first child was born; she decided to devote all of her time to being a mother and her passion of healthy living through movement. Most recently she has started on a more therapy based model at Studio M offering Pfilates – Pelvic Floor rehabilitation classes, Neurokentic Therapy, PDTR, functional movement assessments and Rock Tape. She is a certified Rock Doc for Rock Tape, and offers neuromuscular retraining with Neurokentic Therapy and PDTR. She uses the Pilates methodology and equipment to reinforce functional movement patterns and spinal stability. Miranda started her Pilates journey over 10 years ago. She has focused on Pilates training and certifications with some of the leaders in the Pilates industry. She participated in prestigious Balanced Body Passing the Torch program with internships with Elizabeth Larkam and Madeline Black. 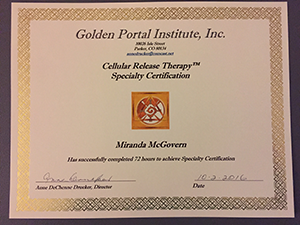 Miranda has attended workshops with Mary Bowen, Eric Franklin, Patricia Guyton, Kyria Sabin, and Marci Clark. “Pilates has changed my life. It has helped heal a hip injury and retrain my pelvic floor muscles,” says Miranda. She continues to focus on pelvic floor rehabilitation and healing pelvic instability. Miranda has created a very special culture at Studio M. The Studio provides a nurturing, caring and supportive community of woman and men who strive for over all fitness and wellness from the inside out.